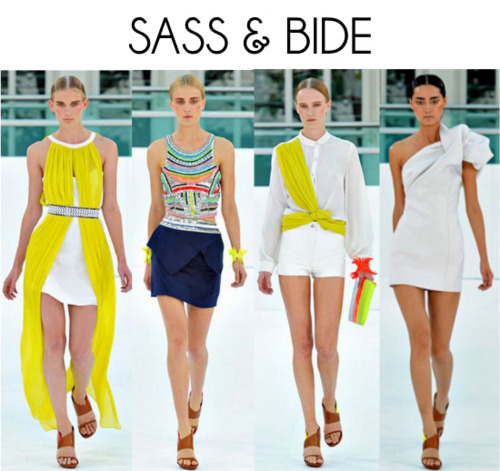 Sass & Bide is well known for fun, trendy collections, but this one takes the cake. While incorporating similar color schemes, each look is incredibly unique to the others. With varying silhouettes, necklines, and patterns and cool details like draping and intricate beading, this Spring/Summer collection is one you just can’t miss. Believe you me, I will be buying at least one of the pieces above. Florals are back! Phew. 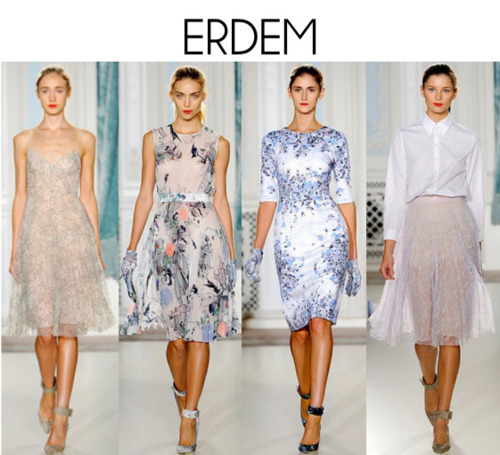 Craving all of these Erdem looks. Soft, flirty, and subdued, these frocks are perrrrrrrfect for spring/summer functions. Leave it to me to find and become obsessed with the most ladylike pieces from the collection. Gimme. While the collection is all over the place in terms of color, patterns and materials, there are several impeccable pieces from Peter Som‘s collection that I couldn’t overlook. I dig how he mixes conservative (simple but amaze blue gowns) with wild (the rolled organza + feather skirt). This could either be a good or bad thing, but the Peter Som spring collection has something for everyone! Always a fan of A.L.C.‘s downplayed chic looks, I was eager to check out what they had in store for us next year. I was not disappointed. Each look is classic with a hint of edge, and will be very easy to incorporate into my spring/summer wardrobe (specifically the two all-white numbers!). Good news for you? This line is much cheaper than the others on this list! Start shopping A.L.C. here. It’s official. Christian Siriano has pretty much won the heart of every fashion fanatic around. His looks are consistently feminine, sleek and modern, which of course I adore. His main color focus was chartreuse, which I’m perfectly happy with! The other color I saw was a deep blood orange, which is also fabulous for spring. I need more money so I can afford his stuff!! 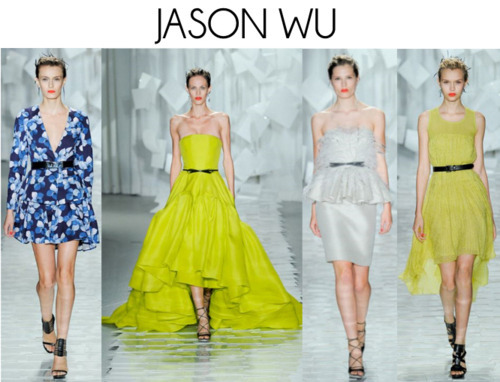 Jason Wu‘s collection is very waist-aware which is great for showing off your figure in a sophisticated way. Clearly I have a thing for chartreuse since I keep choosing it from every collection that incorporates it!